You either love it, or hate it! 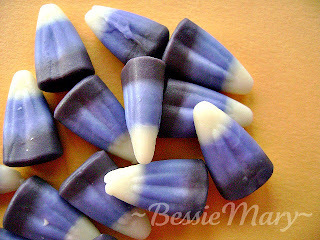 This year, I spied Blackberry Cobbler Candy Corn on the grocery store aisle. As a lover of real blackberry cobbler, I have to admit this doesn't taste anything like it. But, it is kind of tasty in its own sweet and sugary way. 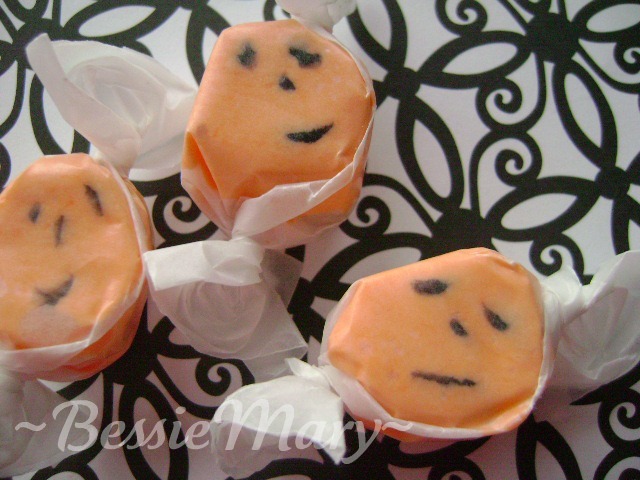 Then there were these: Pumpkin Face Licorice Taffy. The tiny faces made me smile. Except for a small taste test, the treats were purchased to tuck into some little gifts. Hope they bring a giggle to someone else, too! 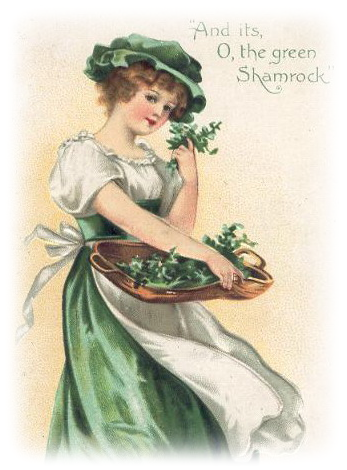 Wishing each of you a sweet Saturday, filled with smiles and a giggle or two! Even if the purple corn doesn't taste good... at least it looks good!! Oh, I LOVE candy corn. Any color, any variety. Of course, the original is my favorite. I could eat an entire bag in one sitting. From Texas to Tennessee, and back!